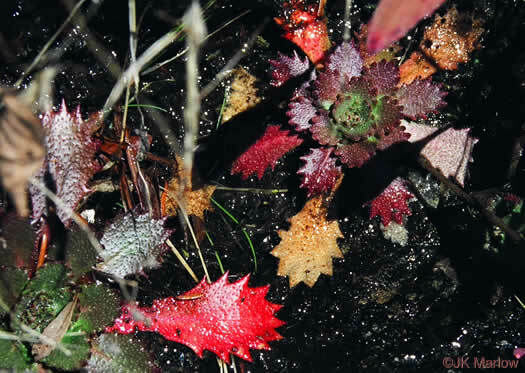 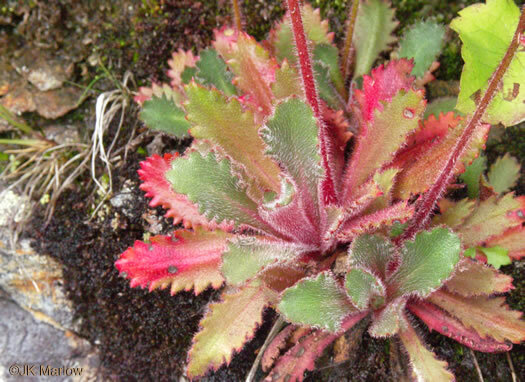 Read about the break-up of Saxifraga and the Saxifragaceae from Alan Weakley and the Southern Appalachian Botanical Society. 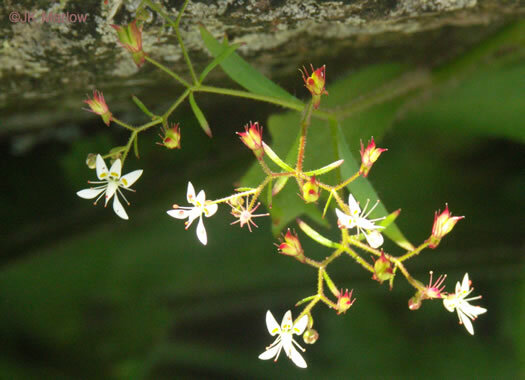 The upper three petals each have two yellow spots, per Guide to the Wildflowers of SC. 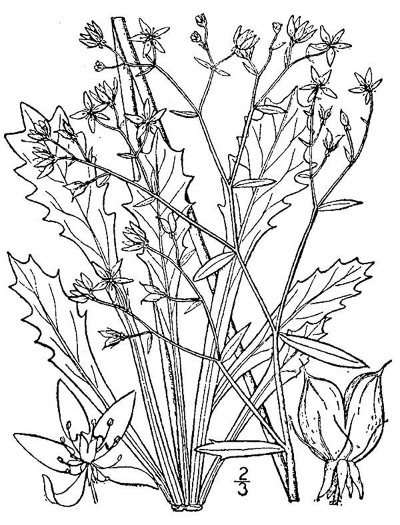 Leaves are coarsely serrate, obovate to oblanceolate, from 2-6" long, per Wildflowers of Tennessee. 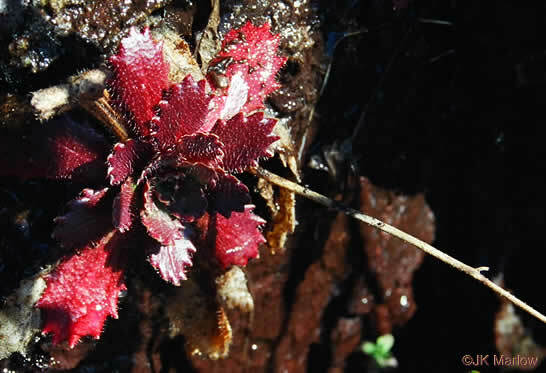 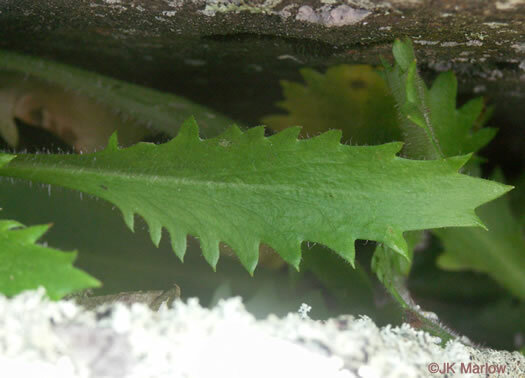 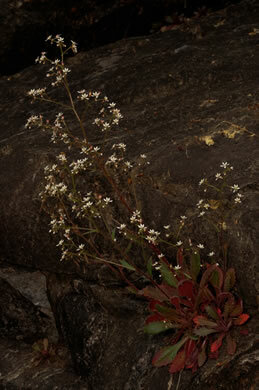 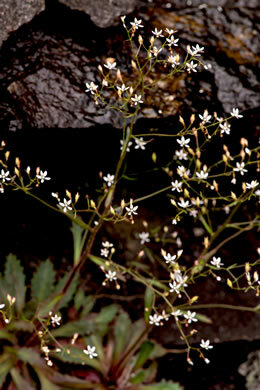 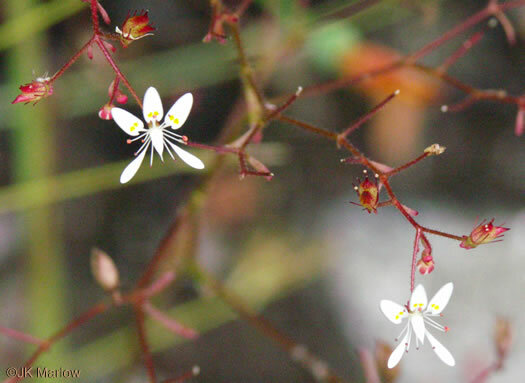 Our only Saxifrage with bilaterally symmetric flowers, per Wildflowers of the Southern Mountains. 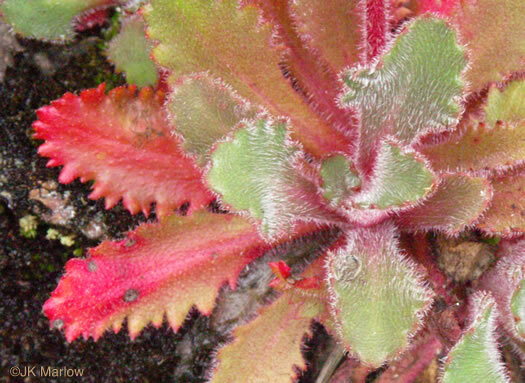 Hairy perennial with most leaves in a basal rosette, per Wildflowers of Tennessee. 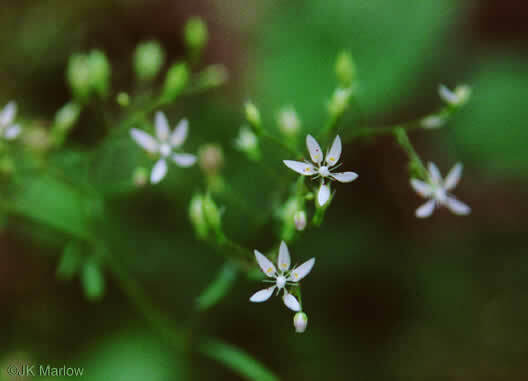 2 narrow spatulate petals and 3 wider stalked petals spotted with yellow, per Wildflowers of Tennessee, the Ohio Valley, and the Southern Appalachians. 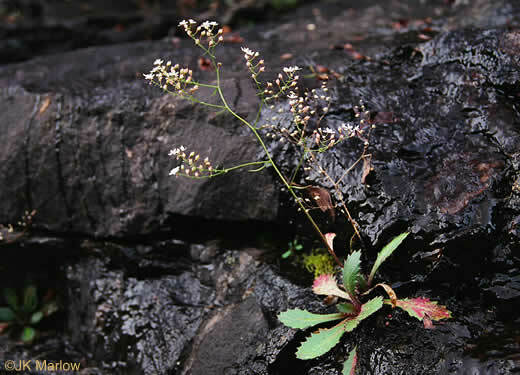 Plant from 4-20" tall with a large open inflorescence, per Wildflowers of Tennessee. 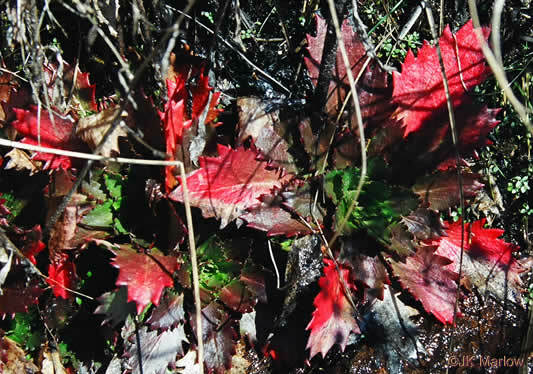 Reddish-green leaves & stem and deeply toothed spatulate leaves, per Great Smoky Mountains Wildflowers.